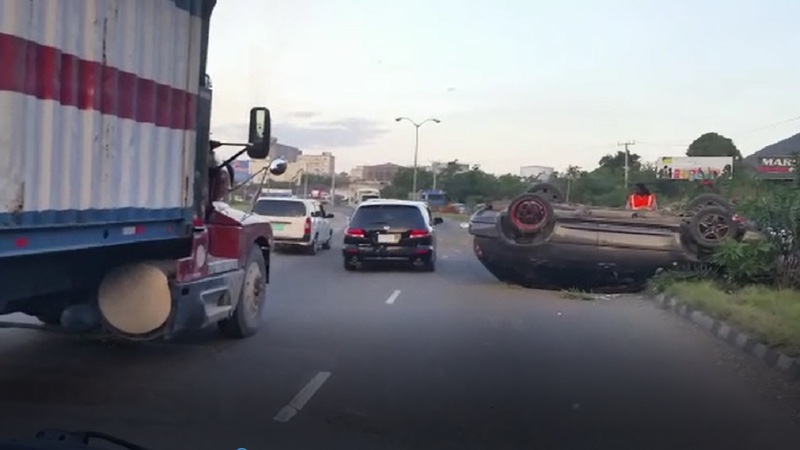 This overturned Lexus caused traffic delays along the Michael Manley Boulevard in Kingston on Friday morning. 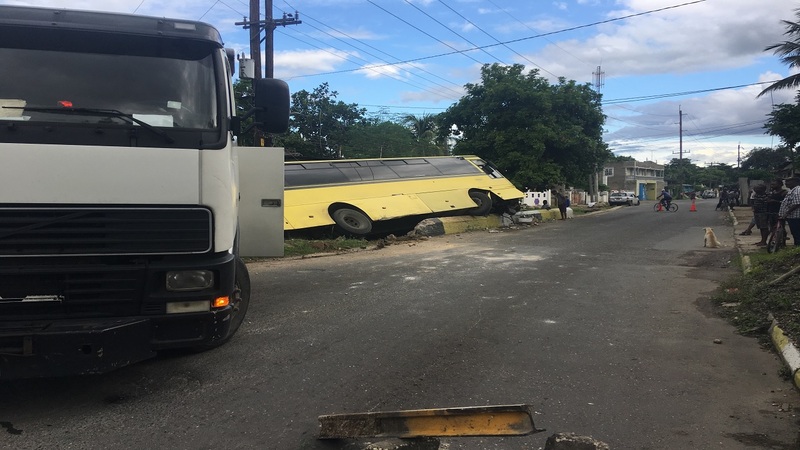 Motorists travelling from Harbour View and the Norman Manley International Airport into Kingston on Friday morning, experienced slight delays in the vicinity of the Caribbean Cement Company at Rockfort, as drivers slowed to take a look at a dark coloured Lexus motor car that had flipped and was resting on its top. 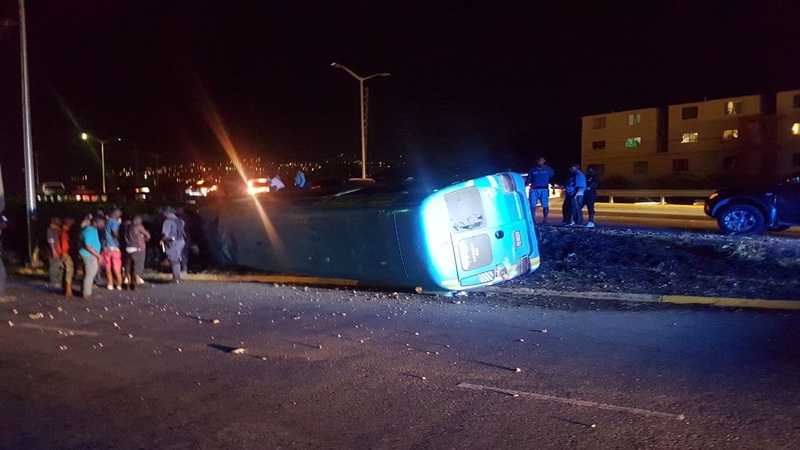 According to eyewitnesses, the driver of the ill-fated car was travelling towards Harbour View but appeared to have lost contol of the vehicle, crossed the median, and hit some light poles before overturning. 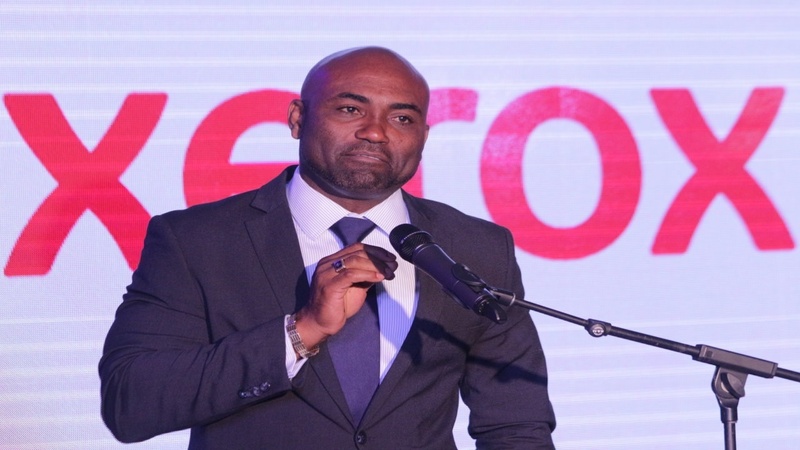 Jamaica Public Service Company wires were down and it was not immediately clear if there was any power outage in the area. Neither the identity nor the condition of the driver is known at this time.